Approved by the Executive Board, April 2009, Tab 29. Any AALL entity or member may submit a resolution concerning substantive matters for consideration by the membership. Matters presented by entities or individuals are typically stated in resolution form, but may also be in the form of a motion without the 'whereas' preamble. View list of existing resolutions. A resolution is a call for action on a subject of great importance, expressed in formal language. It is designed to provide a democratic, orderly process for bringing issues to the attention of the membership. It serves to establish or make known the position of the Association on matters of significance for law librarians, law librarianship and law libraries. Sets forth or requests a new policy or position or change in Association policy or position. Requests action of the AALL Executive Board or other entities for change in programs or goals. Declares a position on significant law library matters. Supports or takes issue with actions of other organizations that involve or relate to law librarianship. Courtesy honors a person, group or entity that has made an important contribution to AALL or law librarianship. Commemorative commeemorates an important person or event. The resolution shall be related to the purpose of AALL as stated in the Bylaws, Article II, and consistent with AALL's status as a tax-exempt organization. The resolution should address only one topic or issue. The resolution should be complete, so that when adopted it becomes a clear and formal expression of the Association. The intent, objective or goals of the resolution should be clear to all. The resolution should make clear whether it concerns a general AALL policy or a call for a specific action. If the resolution calls for a specific action or program, a timetable should be made clear and be included. If the resolution has financial or liability implications for the Association, an estimate of costs should be included. Each resolution must be submitted by a voting member of the Association and must indicate the initiating individual or entity. Resolutions shall be submitted online via AALLNET a minimum of 3 weeks before the AALL Business Meeting. In urgent situations, a resolution may be submitted less than 3 weeks but no later than 24 hours before the Business Meeting, but acceptance of such resolutions will be at the discretion of the Board Executive Committee. A resolution submitted at least 3 weeks before the Business Meeting will be reviewed by the Bylaws and Resolutions Committee as to format, content, relevance and scope as indicated in above guidelines. If a resolution does not meet these guidelines, it should be returned to the person or entity which submitted it with a request that the resolution be redrafted to comply and with suggestions to assist with the redrafting. Any redrafting must be submitted at least 1 week before the AALL Business Meeting. The Bylaws and Resolutions Committee will prepare a brief statement indicating whether or not the final version of the proposed resolution meets the guidelines, and noting any ways in which it does not. The Committee will then forward the resolution and statement to the AALL Secretary for placement on the AALL Business Meeting agenda. In the event that a resolution is accepted less than 3 weeks before the Business Meeting, the review and report will be handled by the Board Executive Committee. Resolutions and statements from the Bylaws and Resolutions Committee will be reproduced for distribution at the Business Meeting. Courtesy or commemorative resolutions may be presented from the floor at the AALL Business Meeting and do not need to be written, submitted ahead of time, nor reviewed. Such resolutions can be approved by voice vote or applause. A representative of the submitting member or entity must be present at the AALL Business Meeting to move (present) the resolution. The resolution must be seconded by a separate voting member in attendance at the AALL Business Meeting in order to proceed to discussion and a possible vote. Following discussion of the resolution (other than a courtesy or commemorative) at the AALL Business Meeting, the President, as presiding officer, will give members present at the meeting the opportunity to vote to take the resolution forward to the entire AALL membership for a final vote via AALLNET after the Annual Meeting. 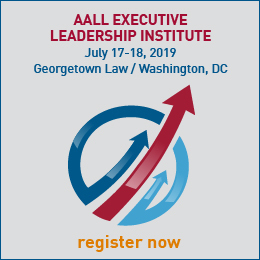 Any resolution which attendees at the Business Meeting vote to take forward for membership vote will first be reviewed by AALL's legal counsel to ensure that it complies with all applicable laws and is otherwise consistent with AALL's purposes and other policies. If legal counsel suggests minor changes in wording, the mover of the resolution will be asked if he/she is willing to accept the changes. If legal counsel has substantive concerns, the Executive Committee will determine whether the resolution may proceed to vote. The resolution will then be announced by the President in an e-newsletter. The announcement will include a link to the text of the resolution and any materials submitted in support or opposition, as well as the dates for a short-term online discussion (in which members can sign up to participate), and the dates for electronic balloting to approve or reject the resolution, (to be conducted within a short time thereafter). Following procedures and policies approved by the AALL Executive Board, the Committee shall also be responsible for reviewing resolutions which are submitted by AALL members or entities and for forwarding those resolutions to the AALL executive director and AALL secretary for consideration at the AALL Business Meeting at the Annual Meeting of the Association. The resolution should clearly state a relationship to the purpose of AALL as stated in the Bylaws, Article II and consistent with AALL's status as a tax-exempt organization. The Bylaws and Resolutions Committee should prepare a brief statement indicating whether or not the final version of the proposed resolution meets the guidelines, and noting any ways in which it does not. The Committee should then forward the resolution and statement to the AALL secretary for placement on the AALL Business Meeting agenda. 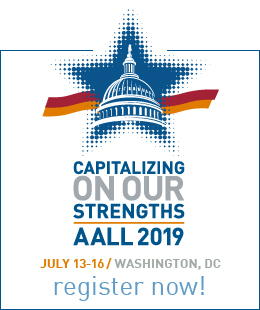 Although there is only one Business Meeting at the AALL Annual Meeting, AALL members may use several methods to promote discussion of issues of importance to the profession. Advances in technology allow for discussion of issues outside the Annual Meeting framework that were not possible in earlier years and allow more members to participate. Not every option is appropriate for every issue. If a member is not sure how to proceed, he or she may want to start by talking with an Executive Board member or the chair of a committee or SIS. Any of these alternatives can help build support for an issue and lead to the submission of a resolution; taking the time to build support for an issue can give a true reflection of how the membership feels about an issue.